If you’re looking into selling a website, you have two options; you can do the legwork yourself and find someone interested in buying a business in your niche, negotiating a price, and closing the deal. Or you can hire a website broker to sell the site for you. What Does a Website Broker Do? A website broker is a business broker, for websites. If that sounds tautological, it is, but it’s an intro sentence, it doesn’t have to be perfect, stay with me. A website broker evaluates your site; all aspects of it. This means they look at your traffic, how much of it is paid versus organic, what your search engine positioning is, what your revenue streams are, how resilient you are to change in the markets, what competition there is in your niche, what amount of revenue you’re making, and what your website is really, truly worth on the open market. 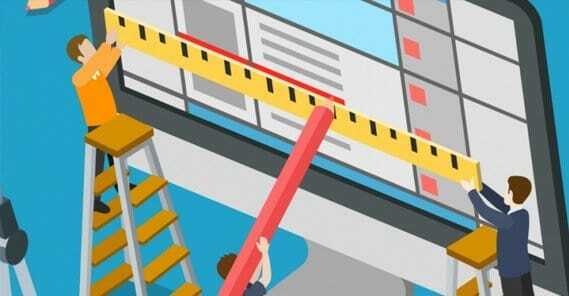 A website broker, in the process of evaluating all of this, will look for potential problems that might be holding back the value of your site, or that can be fixed or changed in order to increase the value of the site. These are short-term elements and changes, not long-term fixes involving SEO and links and the like. The website broker will compile all of this into a memorandum they can use, as a sort of elevator pitch for your site. This becomes the core of the marketing. 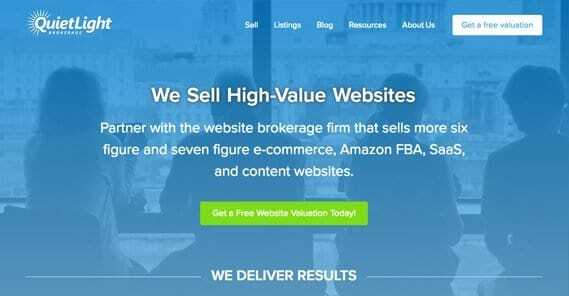 Speaking of marketing, the website broker will leverage their knowledge of website sales and the industry you’re in to create a marketing strategy for your site. This isn’t a marketing strategy for you to make money; it’s a strategy to get the news of your sale out to as many potential buyers as possible. Ideally, you’ll end up with a bid war over your site, to make as much money as possible. The broker will vet these potential buyers as well. They will identify buyers who are interested, interview them, and eliminate the ones that aren’t suitable. For example, they might eliminate anyone who just wants to buy the domain name and scrap the business, or they might eliminate anyone who doesn’t have a large enough budget to make a suitable offer. They’ll prevent lowballs and low sales, and they’ll educate buyers about the business and what its value is. The broker will continue with assisting the sale, including negotiation and advisement on when you should take a deal. They will draft offers for your approval and counter-offers based on your desires. They control the flow of information back and forth, so you don’t shoot yourself in the foot with a good buyer, and so you don’t accept a sleazy lowball offer. They also often ensure confidentiality between buyer and seller, both to protect their own job and to keep you from being pressured. The broker will then draft up contracts for both parties to sign and will handle the monetary transfer via escrow, as well as the transfer of the business and its assets. They will offer support for both parties, to make sure you’re both satisfied and are willing to work with them again in the future. If you’ve ever bought or sold a home before, the process is really quite similar. There’s one large, valuable asset, there’s a real estate agent working both sides to make deals, and there’s a sum of money being transferred. Why a Broker? Why Not DIY? You can certainly go about selling your website on your own. I basically just listed all of the things you have to do. However, as a business owner and site owner, you already have a lot on your plate. You need to do the entire job of getting your website prepared for sale, and you need to find buyers. You need to interview potential buyers and educate them on your site, and you need to know enough about website sales in your industry to avoid the lowball offers. There are simply a lot of traps for a DIY business seller. There are people who will take advantage of your ignorance and buy your business for less than it’s worth, or who will buy it only to strip it and resell it for their own profits. Of course, a broker also has access to resources you don’t. They have experience in auditing a website and bringing up its value with a few simple renovations beforehand. They know how to represent your site as the right kind of valuable, and they know what kind of price it’s liable to pull in the market. The number one resource that a broker has, though, is connections. They likely know buyers, have access to mailing lists, and can use other exclusive methods to find buyers who otherwise would never know you existed. You can’t simply throw a site up on Flippa and expect to get the best possible offers, just like you can’t toss your house on Craigslist and get the best offers there either. Which leads me to another question; why use a broker rather than a semi-DIY service like Flippa? The main answer is value. You might have a site business making you about $30,000 per year, and you list it on Flippa to sell for $35,000. You’ll probably be able to sell it for that much, less whatever cut Flippa takes. Meanwhile, a broker could leverage their connections and their sales skills to sell the site for something closer to $70,000. There’s a ton of money to be had that a broker can get you. Brokers have incentive to sell high, of course; they want to make money themselves. A site like Flippa doesn’t care if you sell for peak value; they make their money based on a high volume of sales, not high quality individual sales. A broker might only close on one or two website deals a month – deals can take a week to up to six months to finalize – and they want to make the most of it. A broker will likely take 10% of the sale price, so selling for more makes them more. There’s always a trade-off, of course. Brokers tend to have an exclusivity agreement, at least for a short time. Generally they will say that they’ll try to sell your site for 90 days, after which they will allow you to decide whether you want them to continue to try or you want to list your site somewhere else. Many times they will also be perfectly willing to let you out of the contract within the first 30 days if you aren’t satisfied with them. Can You Use a Broker? The tradeoff to using a broker is that you can’t sell just any old site. Your site has to be making enough money that it’s valuable enough to sell and make them a profit worth their time. Depending on the broker, that might mean your site is making about $2,500 per month or more. Some brokers will only deal with websites that are making over a million dollars annually, though they’re obviously aimed at high end clients, and you’d know if you fit the bill. This does mean that if you have a blog that’s only making $300 a month, or if you just started an ecommerce site, haven’t grown it much, and don’t have the time or inclination to do so, you won’t be able to use a broker. These kinds of sites are better sold DIY, through a marketplace, or just put on minimum possible effort mode to keep making some money while you get the rest of your life in order. Brokers come in two flavors: individuals and agencies. In both cases, however, you simply need to examine them and determine if they’re right for you. Here are some concerns you can cover when making that determination. How well does the broker answer questions? 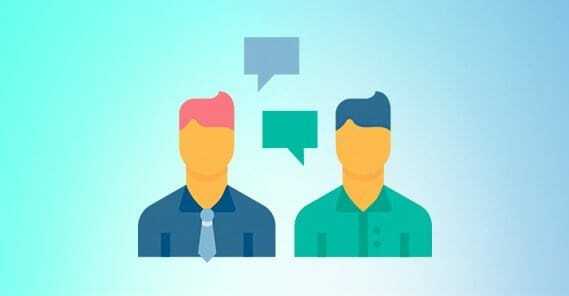 A good broker will explain each step of their process with you and will be up-front with information about their commission, their opinions, their track record, and their shortcomings. Make sure you’re confident in their answers and that they aren’t evasive or less than willing to give you information. You can’t have a sound business relationship when you don’t trust them. Is the broker a member of large organizations such as the International Business Brokers Association? A certified broker is more likely to be trustworthy and capable of selling your site for what it is worth. What is the contact information for the broker, and is it legitimate? You might not want to work with a broker who is based out of Istanbul, for example, or you might not want to work with one who represents their business with a PO Box address. Is the information the broker provides accurate and verifiable? If the broker is claiming that they have sold over 1,000 websites, but they don’t offer testimonials or reviews and you can’t find information about them online, you might wonder whether or not they’re actually telling the truth. Any time you have an indication that they’re not telling the truth or that they’re hiding the truth, it’s probably a good idea to avoid working with that particular broker. Do they have good reviews from unbiased third party websites? Anyone can make a website that looks authoritative, and anyone can pay someone $5 to write a testimonial that sounds fine. The question is, do they have reviews on third party sites they don’t control that say they’re good brokers? And are those reviews believable? How many website listings does the broker have? Most brokers use their websites as a sort of marketplace or portfolio of the sites they have for sale, not just to attract new clients. If they aren’t actively selling very many sites, it tells you that they’re probably not very popular. They might be new, which isn’t necessarily bad, but it does mean you might have to gamble on them. Generally, a good broker will have between 5 and 10 sites in active listing. Does the broker list a massive number of qualified buyers? If so, it’s more likelt that they just have a brokerage mailing list and the buyers aren’t really vetted for your kind of site. Are their business listing anonymous? A good broker doesn’t want to “spoil the surprise” so to speak. If news of your site being sold gets out, your employees might start to jump ship and the potential value of your site declines. A good broker will just tease information and only give real, relevant information to buyers deep enough in the process to deserve it. Other than that, use your best judgment. If something feels off or you don’t feel comfortable with the representative of your brokerage, don’t deal with them. If you want to use a broker, you can find your own, but I’ve listed a few to get you started. Founders Investment Banking – This brokerage tends to work with middle and high end businesses, and they have a special event for those who are executives of companies with over $10M in revenue. 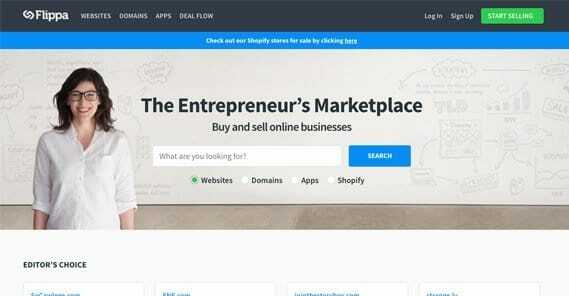 Flippa – The go-to website marketplace, you can find domains for under $100 and you can find websites for six figures. It’s less of a brokerage and more of a marketplace, though, so you have to use it the right way with the right expectations. 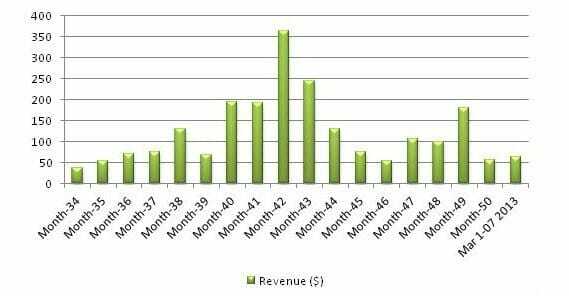 Digital Exits – A “high end” website broker that sells websites with revenue annually ranging from $100K to $3M per year. They will valuate your site and will help sell it as well. Sites for sale are kept quite anonymous. Quiet Light Brokerage – This is an older brokerage that boasts an 85% closing rate with over 600 websites sold, and they have both the skills and the testimonials to back it up. Digital Acquisitions – This one is a high quality but small brokerage with a very exclusive list of clients. WeSellYourSite – A brokerage with a goofy name that makes you think of the old exact match spam domains, but with a decade-old service that’s well worth looking past the name. FE Interntional – A premium brokerage with a very high success rate and clients all around the world. Do you know of a good, high quality brokerage? Let me know in the comments and I can add it to the list. Is It Legal to Buy and Sell Website Traffic?